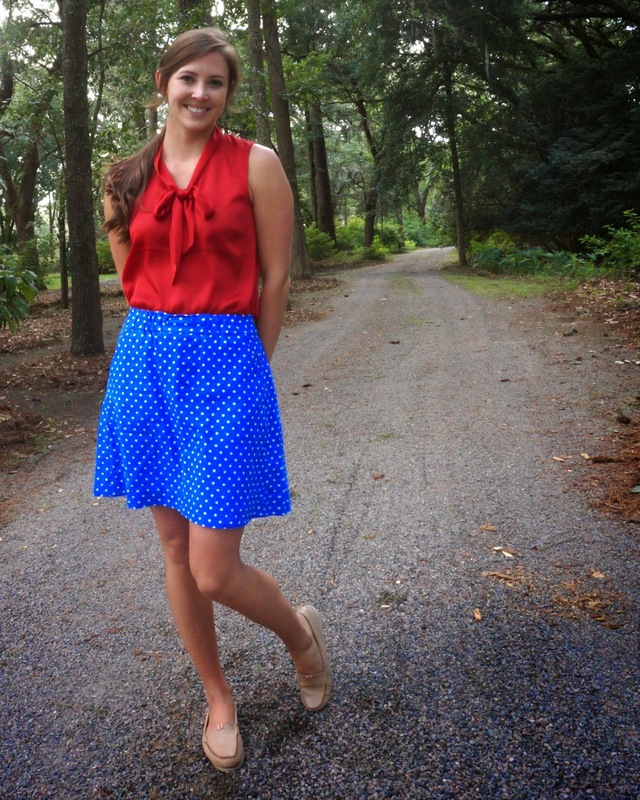 Now that it's July, it's finally acceptable to be obnoxiously patriotic, which is exactly what this outfit is. 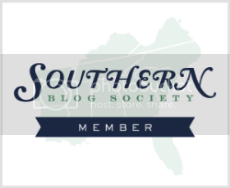 These bright colors are just screaming America and I kind of love it. It's also not a bad way to show support for our World Cup soccer team! 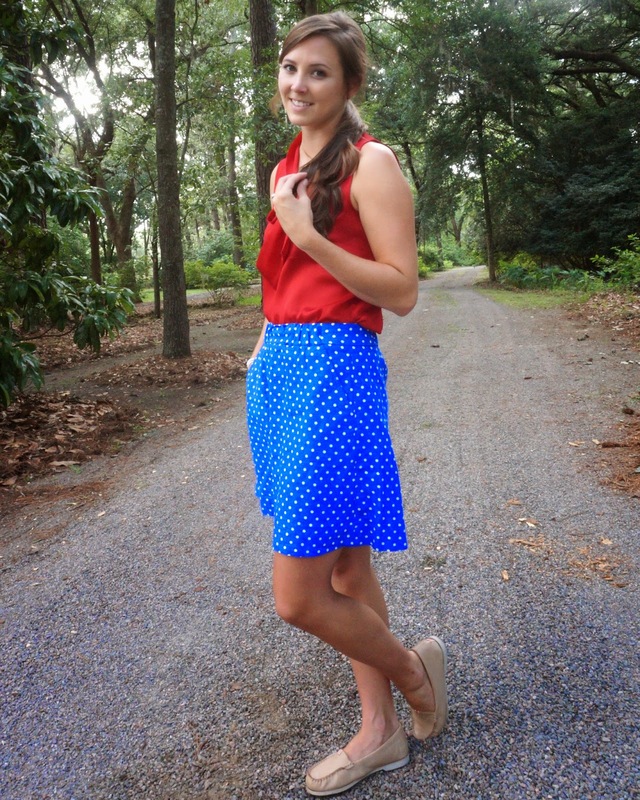 This skirt is on sale at Factory J.Crew right now so hurry on over and pick it up! Oh and don't forget to show you're student or teacher ID for and extra 15% off! Great color combo. 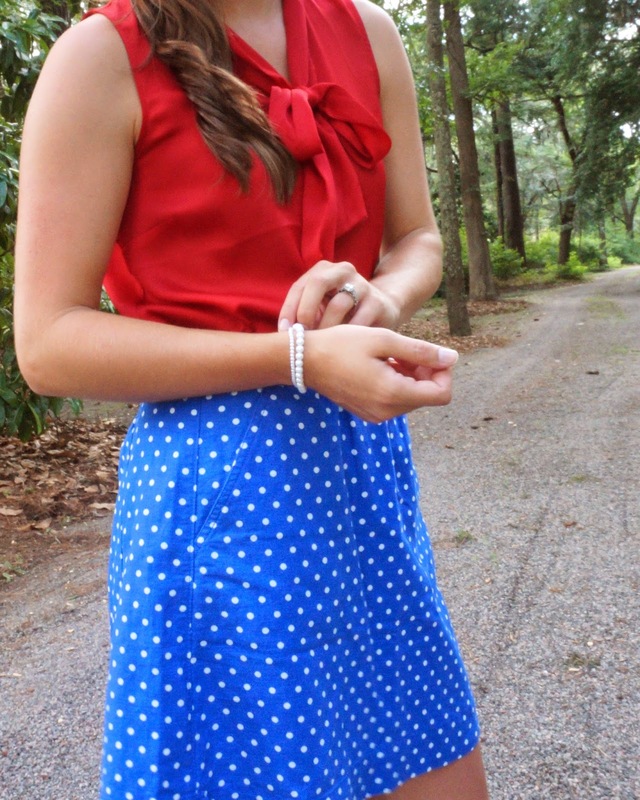 Perfect look for July 4th ! 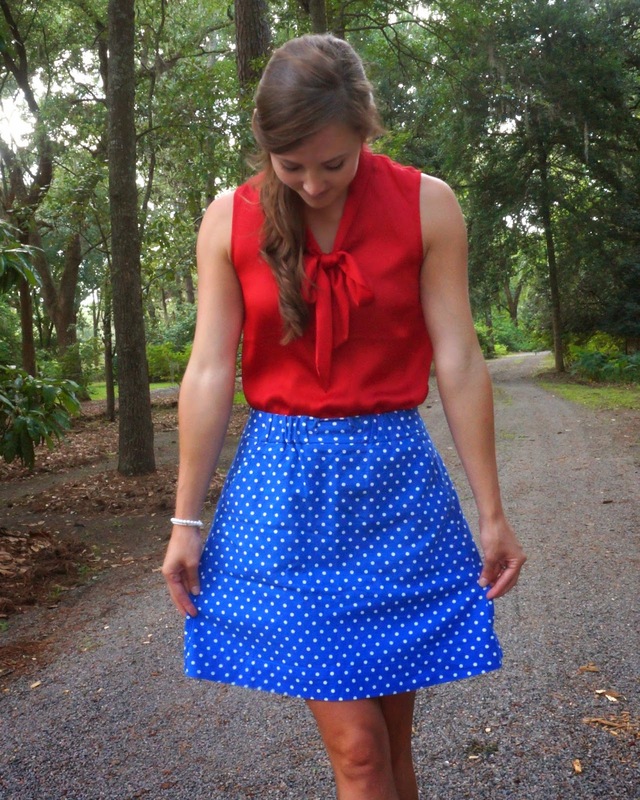 This outfit is too perfect for the 4th... loving that skirt so much! !